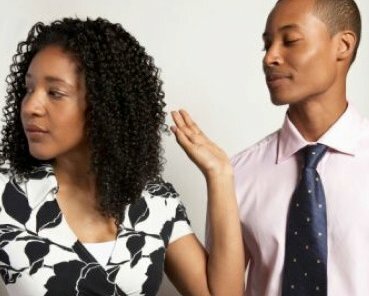 Covenant Relationships: What Would Make You Disrespect Your Husband? He then informed us how his wife's attitude towards him changed after he lost his job and tears almost dropped from his eyes. It is very sad when women disrespect their husbands. "Nothing will make me disrespect my husband.. Thank God, I am buoyant .. He takes care of me, when he is bouyant with cash; Why would I want to resent him, if things go wrong moneywise.... nah, God forbid, if money is not forth-coming from my hubby, there's nothing wrong in assisting our family, financially and spiritually until he bounces back.. It will break my heart to even raise my voice on him... I can't even try it... My mind will not rest at all!... It's wrong!.... Except if he is a serial cheat... I can't stand cheaters...I guess that's the only reason to disrespect him ...but I can't sha." "Nothing, he has been with me thru thick and thin, I should also be with him thru thick and thin as well, life is not only what I can get from it, it also involves what we can offer it, infact, when my hubby is financially down, is when I seem to take care of him more than when he's financially bouyant, so that his self-esteem will not be affected as a result of his present financial position;...That reminds me of when he wasn't paid for some months...that was when I increased his pieces of meat to four, so that, he won't start thinking that I'm reducing his food because he wasn't able to drop much for us. A good husband deserves to be treated well; whether money flows or not, since he hasn't been the stingy type when he was financially bouyant. But, for now, i just can't, he deserves the best treatment from me." "I'd never disrespect him! From what I've seen in my parents marriage, I'd never do that. He loses his job, he does what ever, so far he's still my hubby, that respect would forever be there." "What will make me dis-respect him? 3. If he refuses to listen to reason, I just ignore him and go ahead and do what I want to (does that count as disrespect ?)" The above confirms that like everything in life, Respect too, is fleeting. On the one hand is the "I will respect him no matter what" then there is "if he disrespects himself" crowd, who are "waiting" for justification to exhibit their bad-manners. Most ladies stating they would never disrespect their husbands have had subtle conditionalities attached to them, regardless of having just answered in the negative. So why say "never" and then add "unless"? The worst part is that people always blame the husbands. Many will say we don't know how these men treated their wives when they were buoyant? Perhaps he treated her like trash so she can't find it in herself to be "there for him." But is that an excuse? Surely, time will tell. Women are not necessarily less aggressive, they just tend to show their aggression in less physical ways. You are still living in the 17th century if you think only physical abuse constitutes domestic abuse. Wake up, neighbour - there's verbal abuse and relational abuse. Women just get pardoned a lot because sometimes their hormones tend to rule them to the detriment of their common sense. Lots of women would disrespect their husbands when he can't support the home financially because they are taught to see their husbands as "Arms". The Bible says a man should provide but was money mentioned? Is money the only thing a man should provide? What if he loses his job? Is he an infidel? What if he had a ghastly accident a year into the marriage, does he become an infidel? On the other hand, a lot of men do not provide anything in their marriages apart from money. What about direction? Leadership by example? Prayers? Advise? Comfort? Word of encouragement? Support etc? A shoulder to cry on? Somen need to ask themselves "Do I really add value to my family apart from money?" No matter the circumstances men should remain LEADERS and wives should be respectful. A wise woman builds her home. As hard as it may be, our actions and reactions should be guided by the Word...the truth is embedded in it..Wordly knowledge is confusing and contentious.